FREE training and behavior advice is now offered to all animals adopted from BARCS. From private consultations, group training (BARCS University) and socialization classes to phone and email support, the BARCS training team is here to help! Let us work with you to give your adopted pet the best success in your home. 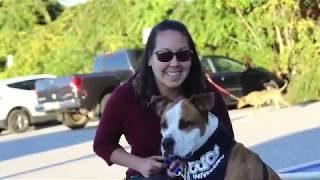 BARCS University holds free dog training classes led by Matthew Fazzino, CPT (certified pet trainer) for BARCS adopters. Sessions are six weeks long and online registration is required to participate.